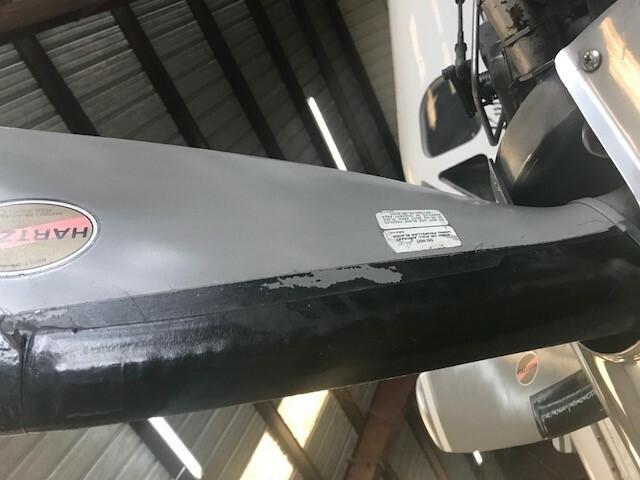 On February 19th, 2018 Chip McClure performed a visual inspection of BB-1148, the overall appearance of BB-1148 is very good, with some minor touch up and care it will be very nice. A walk around inspection of the aircraft was performed. The purpose was solely to identify cosmetic items that might be corrected while the aircraft is down for maintenance. The list is actually pretty short for this vintage of aircraft, mainly because of the recent paint and interior. The quality of the paint and interior work is between average and above average. The belly of the aircraft and the wheel wells could have received more attention, but this is very common from all but the best paint shops. There is an area of "orange peel" under the nose, dullness to the paint under the belly and some paint peeling as seen in the photo below. 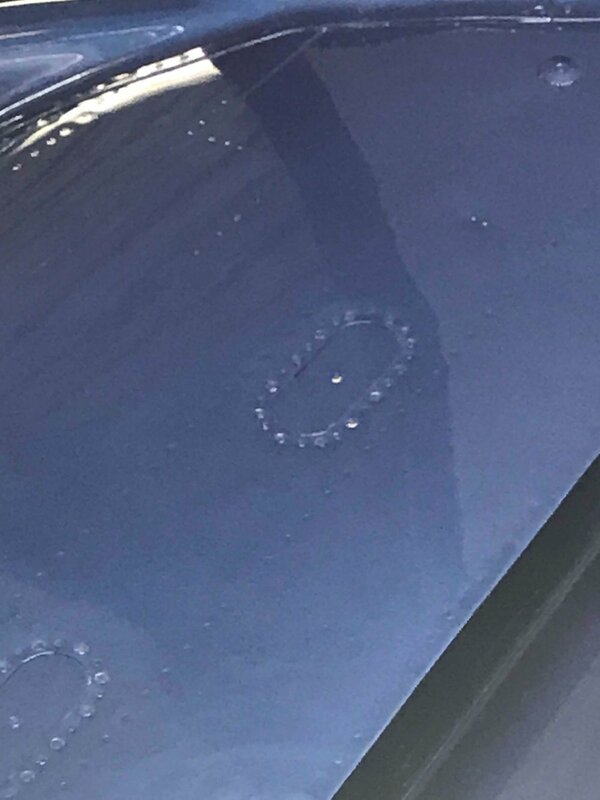 This area of loss of paint adhesion isn't huge and seems to be cosmetic, with no bare metal showing. I wouldn't consider it a major concern unless it gets worse. 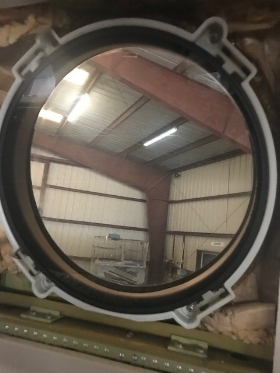 There is a rusted lock on the avionics bay door. It may be possible to remove and polish it or simply replace it. 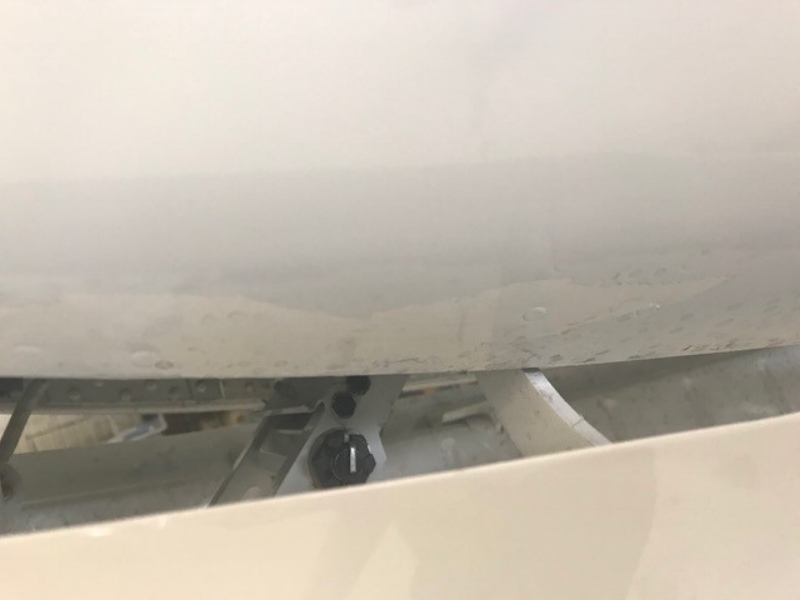 Paint chips and missing paint on inspection panels is pretty common, the best solution here is paint touch up and to replace all the screws with stainless. 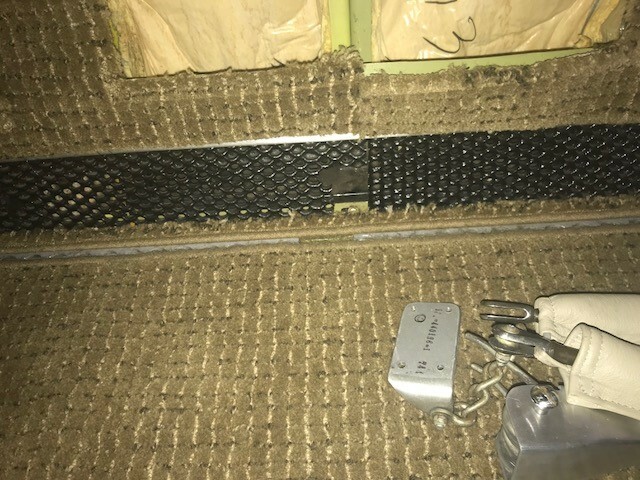 The screws in the avionics door look pretty bad, this can be solved with a stainless steel screw kit, it's a pretty good chunk of change, those fastners are expensive. The LH wingboot has an area that is detached, Dean has it on his list to repair. The overall condition of the prop coating is very good. Suggest dressing prop boots. The felt seal inside the windows needs attention. The photo on the right is the correct appearance. The grate at the bottom of the sidepanels needs to be replaced, this is defiantly the time to do it while the interior is out. Kent Rose at PlaneSpa was contacted for a quote.